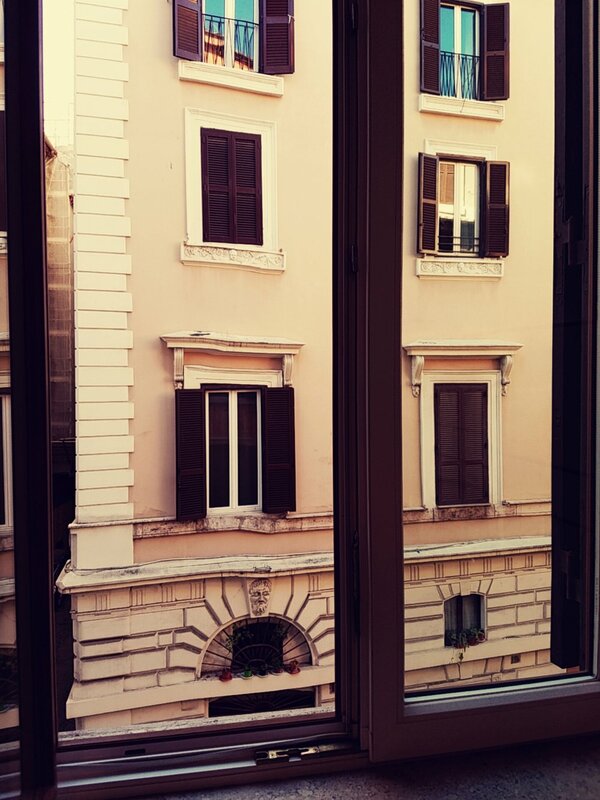 Rome - The Eternal City, the capital of Italy, the place where all roads lead and the city that holds the key to my heart. I don’t know if I will ever take a trip to Italy that doesn’t include Rome. 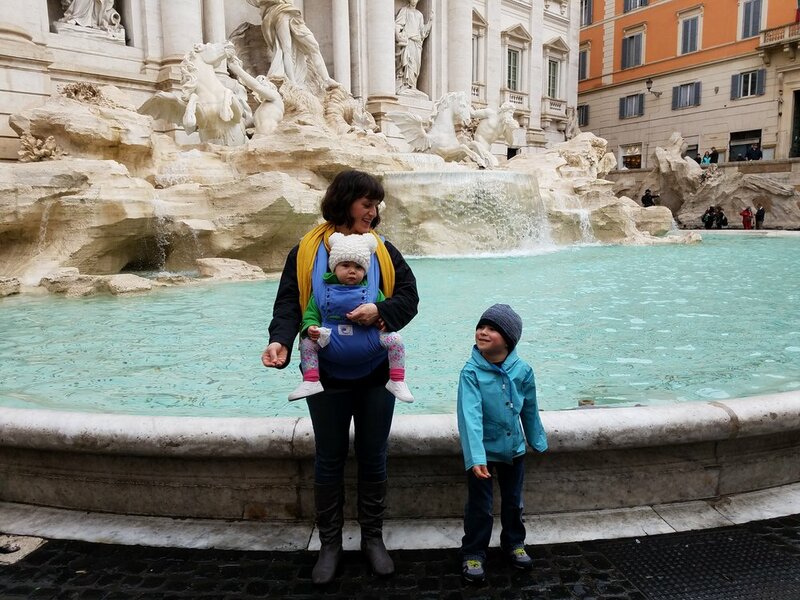 It doesn’t seem as though a visit to La Bella Italia would be complete without throwing a coin in the Trevi fountain or eating a gelato while walking around Piazza Navona…or without the song “Arrivaderci Roma” running through my head as I’m saying goodbye. It is just a part of Italy for me and now I have even more fun reasons love it! Rome became the capital city of unified Italy in 1870, taking the title from Florence. Rome today has 280 fountains and more than 900 churches. 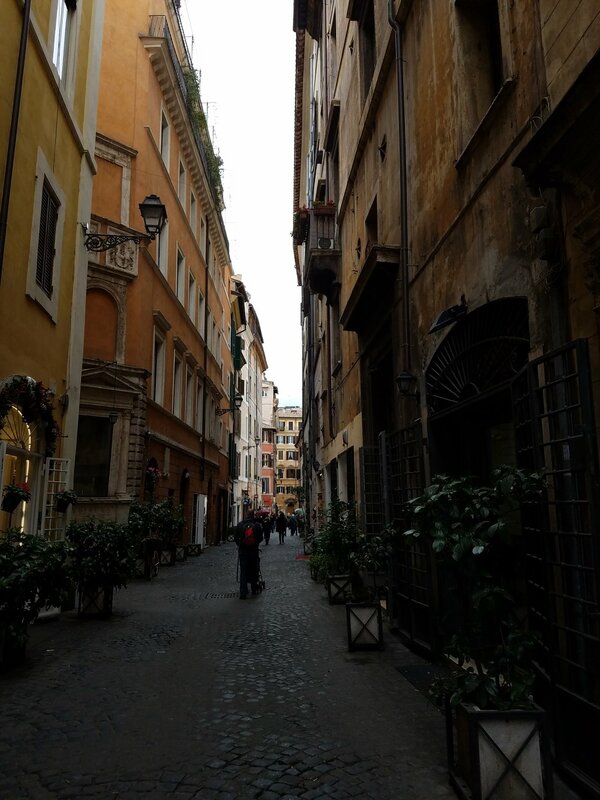 Via del Corso runs straight through the heart of Rome from Piazza del Popolo to Piazza Venezia. Rome has a museum dedicated to pasta - Il Museo nazionale delle paste alimentari. Rome has between 7-10 Million tourists visit it every year. The Beatles once stepped into the Fountain of the Frogs (Fontana delle Rane) in Piazza Mincio. There is a law in Rome that allows cats to live and roam free where they were born. Cats can be seen climbing the walls of the Colosseum or sleeping among the ruins of the Forum. Trevi fountain coin tossing tradition - Stand with your back to the fountain and toss a coin in over your left shoulder with your right hand. Do not watch the coin fall into the fountain. This will ensure your return to Rome:) Worth a try right! It is illegal to take coins out of the Trevi Fountain. Anita Edberg and Marcello Mastroianni filmed a scene in the Trevi Fountain for the 1960 film La Dolce Vita. When Marcello Mastroianni died in 1996 The Trevi Fountain was turned off and draped in black in tribute to him. 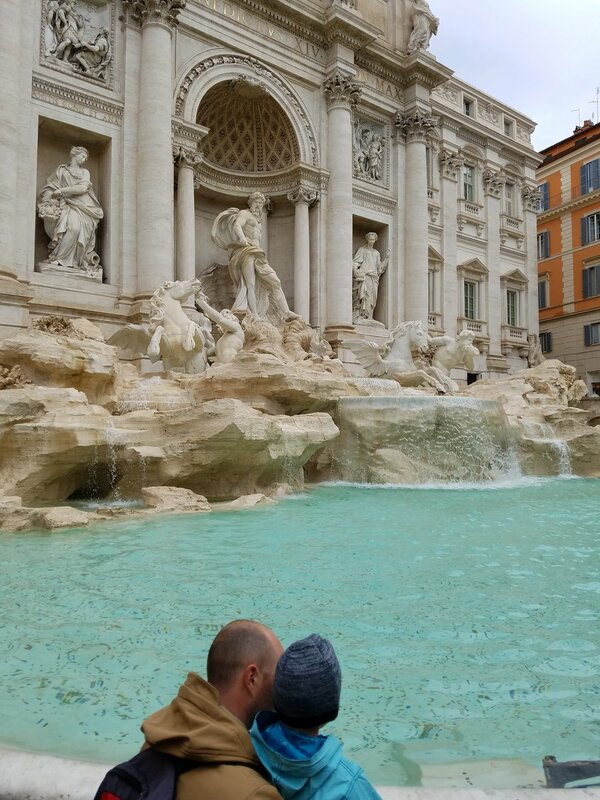 There is no direct line of site to the Trevi Fountain as you are approaching it. All of the roads leading to it keep it’s grandness hidden until they drop you into the piazza. Trojan’s Market is believed to be the first ever covered shopping mall - built between 100 - 110 AD. Trojan’s Column is 128 feet high. The sculptural band that wraps around the column is approximately 655 feet in length. The famous artist and sculptor Bernini is buried in the Basilica di Santa Maria Maggiore. The Baroque style Triton Fountain in Piazza Barberini was entirely designed and sculpted by Bernini. It was also his first official commission for a public fountain, sculpted in 1643. The baths of Caracalla was a great complex, complete with areas for heated water bathing, and a large mosaic tiled courtyard for exercising. There were even balconies for the spectators to watch the action down on the floor. When built, The Baths of Caracalla could accommodate 1600 people in the actual baths at one time. After being granted the right to remove valuable objects from The Baths of Caracalla in the 1500s, the Farnese family removed two large bath tubs. These tubs are now part of the twin fountains located on the Piazza Farnese near the Palazzo Farnese. The Appien Way, at it longest point, eventually ran from Rome to Brindisi in Puglia. Underneath the Appian Way there are miles of tunnels of catacombs where early Christians buried their dead. Rome has more than 60 known catacombs but only 5 are open to the public. The Christian catacombs of Rome are the property of the Catholic Church and permission from the Vatican must be granted before one is explored. Piazza Navona is built on the former Stadium of Domitian. The stadium was built is 86 AD. Piazza Navona did not come to be until the fifteenth century. The obelisk in the center the Fountain of The Four Rivers in the center of Piazza Navona was originally located at the Circus of Maxentius. The figures of sea gods on the Fountain of the Four Rivers were sculpted by Bernini's students. Bernini himself created the lion, sea creature and the palm tree. The dome of the Pantheon is bigger than the dome of St. Peter’s Basilica. It’s also the largest un-reinforced concrete dome in the world. The Pantheon was built in 125 AD. It is the 3rd Pantheon to be built on it’s current location. 3rd times a charm though since this once has withstood the test of time and is still standing almost intact today. The tomb of Rafael is in the Pantheon - the only artist to be buried there. The opening at the top of the Pantheon was the only original source of light. The “Identical” churches in Piazza de Popolo are actually not identical. Santa Maria in Montesanto (on the left) is smaller. This church has an oval dome and the dome of Santa Maria dei Miracoli has a round dome in order to give the impression of symmetry. The twin churches steal most of the show but there is actually a 3rd church in Piazza del Popolo - Santa Maria del Popolo. The last race in the Circus Maximus was held in 549 AD. The first races were held almost 1000 years before. The Villa Borghese Park was obtained by the city of Rome and turned into a public park in 1903. Villa Borghese Park has a zoo in it - The Giardino Zoologico di Roma or Bioparco di Roma opened in 1911 and is home to around 1000 animals. The original Triton statues from the Moor Fountain in the Piazza Navona are located in The Villa Borghese Park. 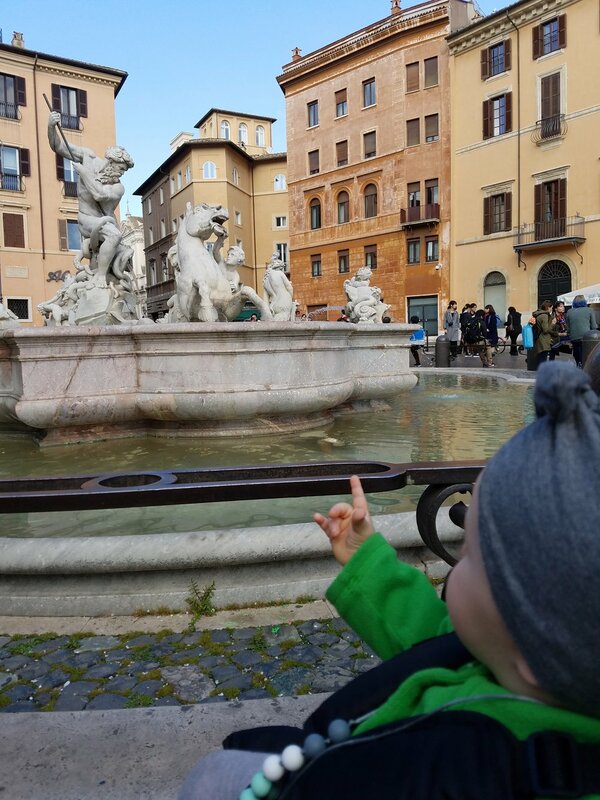 The fountains in Piazza Navona are replicas. The Spanish Steps have 135 steps. The obelisk at the top of The Spanish Steps and in front of the church is a smaller version of the one in Piazza del Popolo and was originally located in the Gardens of Sallust. The Spanish steps were named for the Spanish Embassy that was nearby but are themselves not Spanish at all. 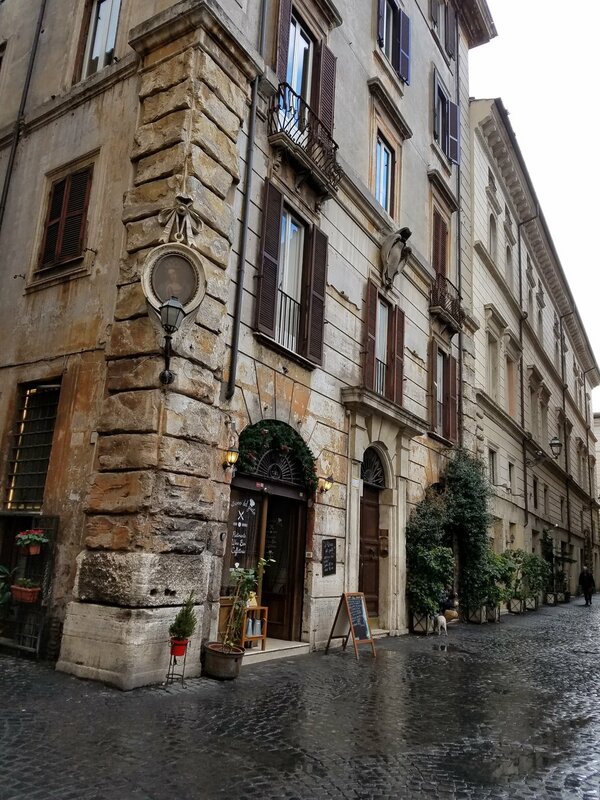 The house where English Romantic poet John Keats lived and died is located right on the Spanish steps. The Keats - Shelley House is now a museum dedicated to Keats and other writers. At the base of the Spanish Steps sits the Fontana della Barcaccia. This fountain is the work for Pietro Bernini ( Father of Gian Lorenzo Bernini) The story of this fountain is that it was inspired by the flooding of the Tiber river is 1598. Apparently the water was so high that the only way to get around was by boat. When the flood waters subsided a small boat became stranded there. It is prohibited now to eat on The Spanish Steps so don’t think about reenacting this famous scene! Campo de’Fiori means Field of Flowers. This famous piazza has a filmed named after it from the 1940’s. Campo de’Fiori (The Peddler and the Lady in English) is a love story set in the piazza. Campo de’Fiori wasn’t always a beautiful market - It used to be the site of public executions and in fact the statue at the center of the piazza is of a Dominican friar who martyred there. Castel Sant’Angelo was originally built as a mausoleum for Emperor Hadrian and dates back to the second century AD. When Castel Sant’Angelo was built it was the tallest building in Rome. St. Peter’s Basilica we see today is not the original. The original was built in the 4th century and today’s basilica was finished in the early 1600’s. The paintings inside St. Peter’s Basilica are really not paintings at all but intricate mosaic works of art. St. Peter's Basilica has a capacity of 60,000 people. Bernini and his assistants created the 140 statues that surround St. Peter’s Square. The Obelisk in the center of St. Peter’s Square is also a large sundial. According to Bernini the colonnades surrounding St. Peter’s Square were built to symbolize the outstretched arms of the church embracing the world. There are 491 stairs to the top of Michelangelo's dome of St. Peter's Basilica. Before Michelangelo painted the ceiling in the Sistine Chapel it was blue with golden stars. Michelangelo painted the ceiling of the Sistine Chapel but he also painted the Last Judgement over the altar. The Vatican is the smallest country in the world. The Vatican is nearly 120 times smaller than the island of Manhattan. 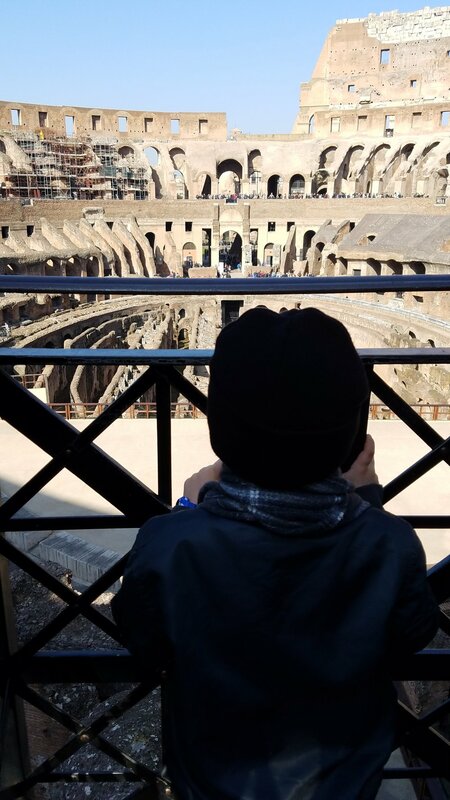 It is thought that over 500,000 people lost their lives and over a million wild animals were killed throughout the duration of the battles at the Colosseum. The Colosseum was covered with a huge awning known as the velarium. It protected the spectators from the sun and was attached to The Colosseum and ground by large poles. The Colosseum originally had 160 statues in the arches on the upper floors. Pieces of the Colosseum have been used in other building around Rome such as St. Peter’s Basilica and Palazzo Farnese. The Colosseum’s first games were in 80 AD and it’s last gladiatorial fight was recorded as having taken place in 404 AD. The Colosseum has held modern day concerts. Artists such as Ray Charles, Steven Tyler, Andrea Bocelli, and Elton John have all performed there. La Bocca della Verita - The Mouth of Truth. Is a large stone face that is thought to have originally been a drain cover. It is on display right outside the church Santa Maria in Cosmedin. Legend of La Bocca della Verita says that if you put your hand in the mouth and tell a lie that it will be cut off…ah! 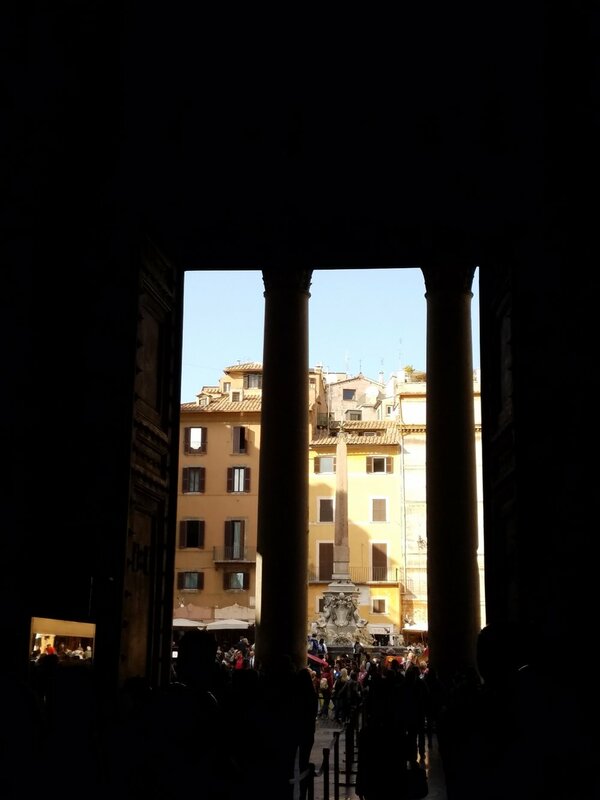 And with that….arrivederci and here is to traveling to Rome to see all these fun facts first hand…and maybe to reenacting your very own scene from Roman Holiday at La Bocca della Verita!